The Blue Winged Hairwing Dun tempts wary trout as it sits perfectly in the surface film. Tail : Dark blue hackle fibres split. Body : Olive rabbit or muskrat. Hackle : Dark blue dun. Wing : Grey deer hair. Trim the belly hackles as with comparaduns. Leave ends of trimmed deer hairwing to create a small head. 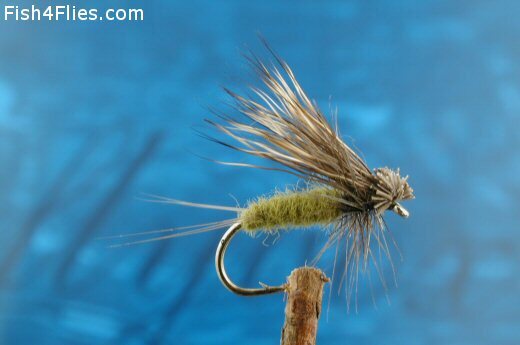 Currently there are no comments about the Blue Winged Hairwing Dun fly pattern from other fly fishermen yet.